Antique silver finish charm. 1" Medal ANTIQUE SILVER Finish on a 20 inch ball chain. Its antiqued finish provides the elegant and classic look of a family heirloom. 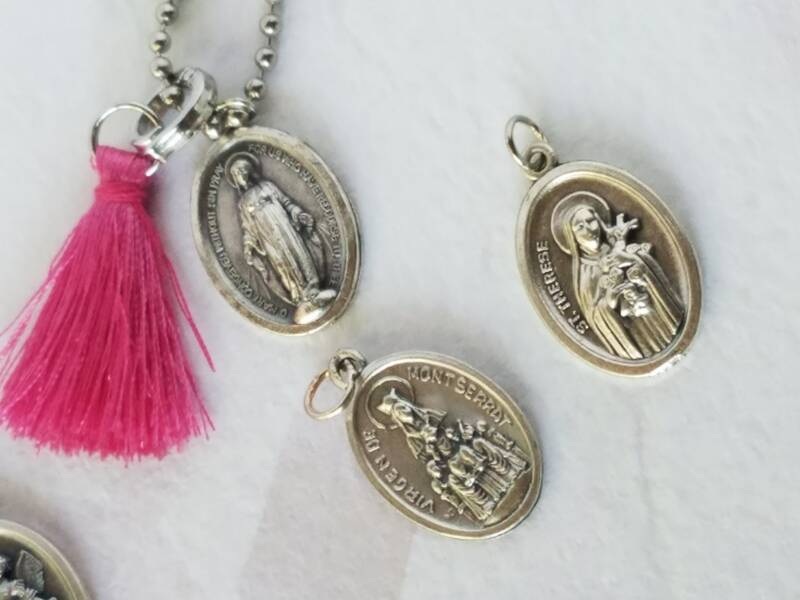 Nice Sacrament gift or for any occasion! 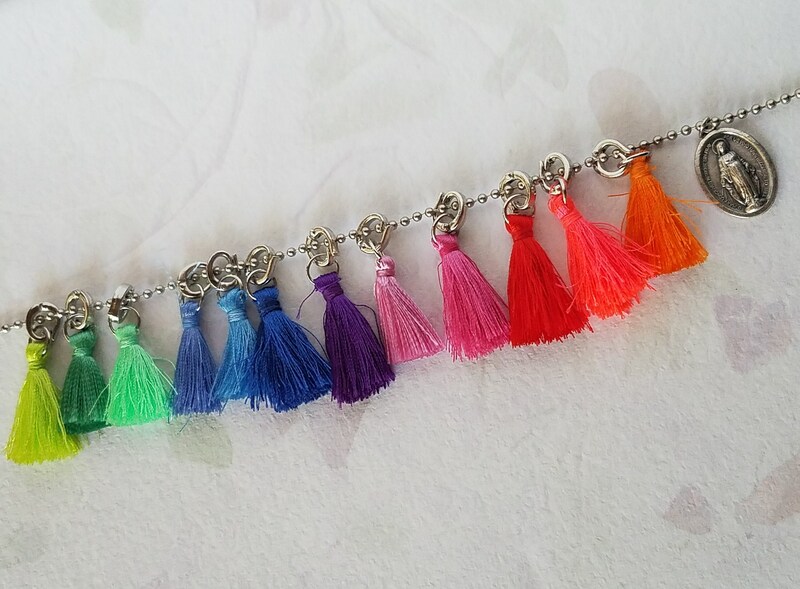 Choose with or without tassel, small or large ball chain. 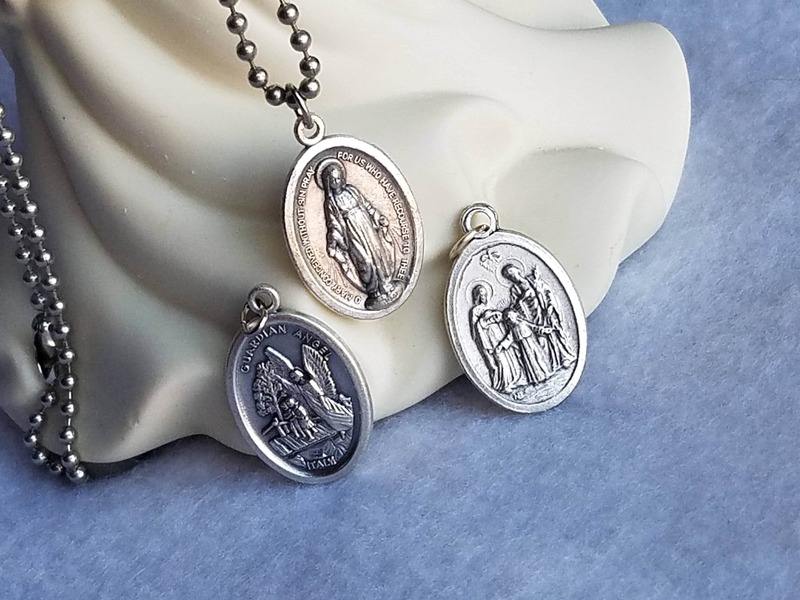 Holy Family / Holy Spirit, double sided. 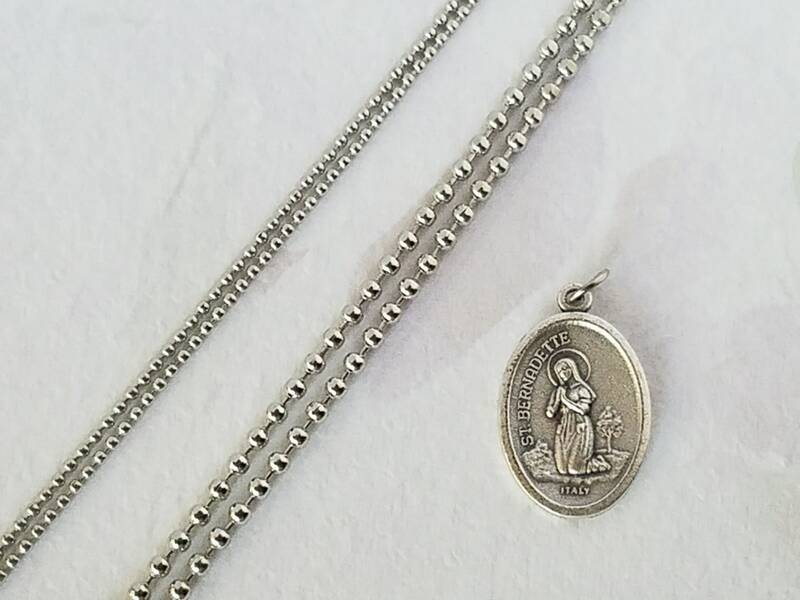 Immaculate / Sacred Heart, double sided. 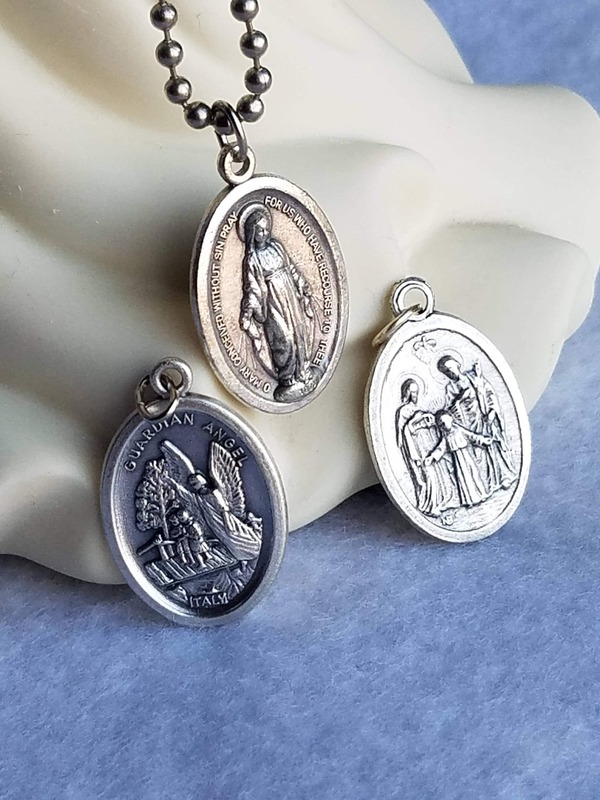 Miraculous Medal , double sided. 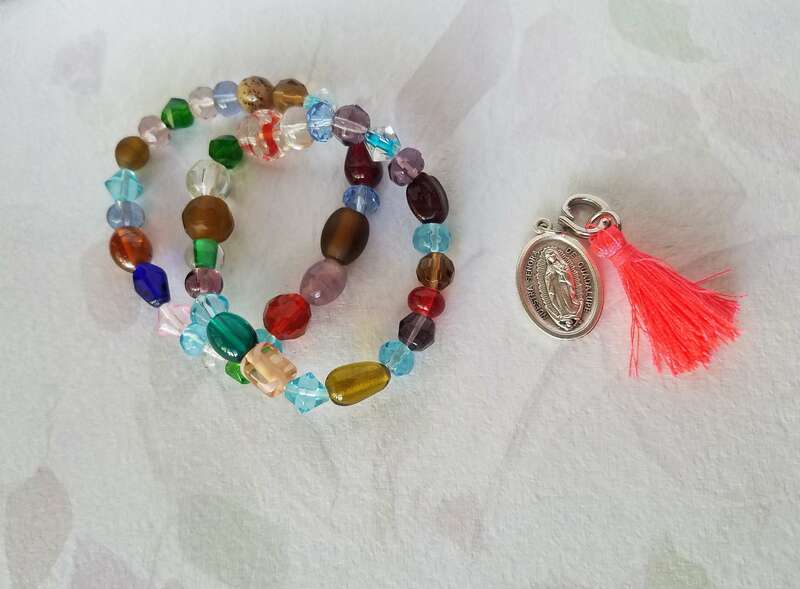 Our Lady Of Guadalupe / St Juan Diego, double sided. Sacred Heart Of Jesus / Cross, double sided. 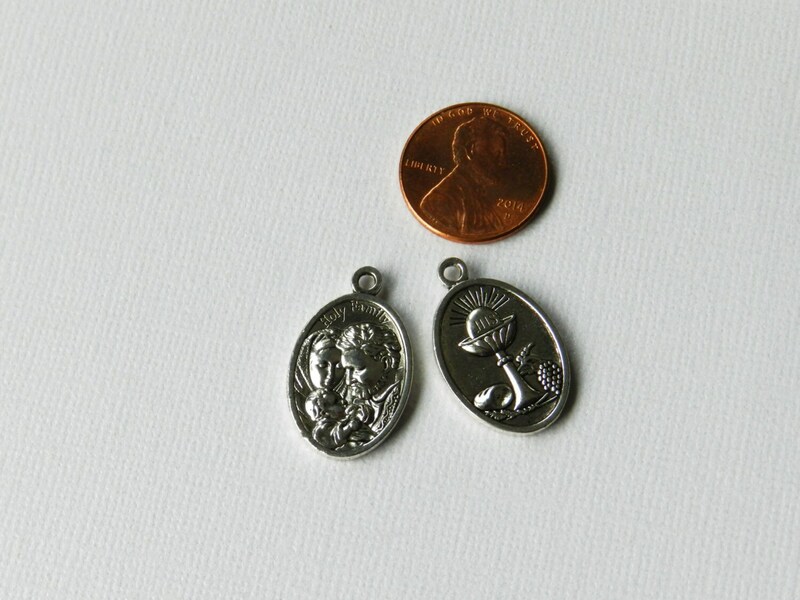 Virgin Of Serrat / Sacred Heart of Jesus, double sided. St Bernadette / Our Lady of Lourdes, double sided. Guardian Angel / St Michael, double sided. 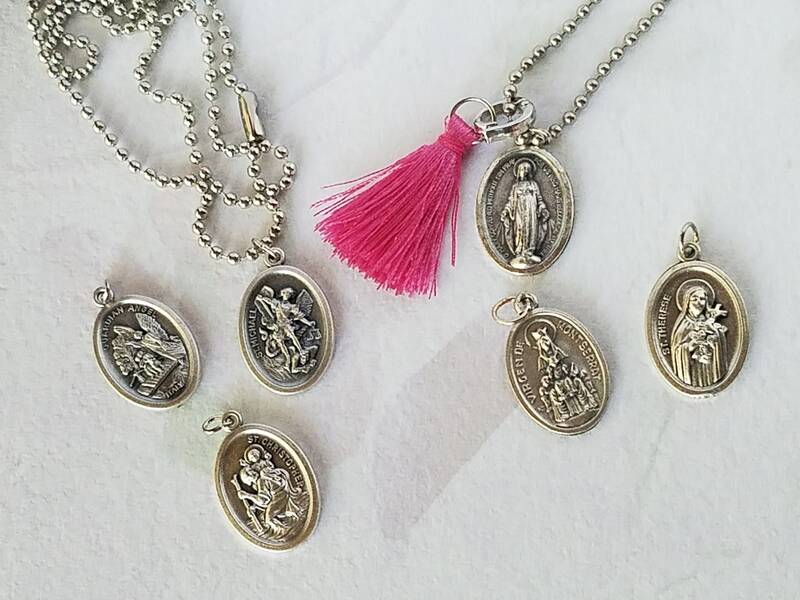 Nice Sacrament gift or for any occasion! Comes in organza pouch. 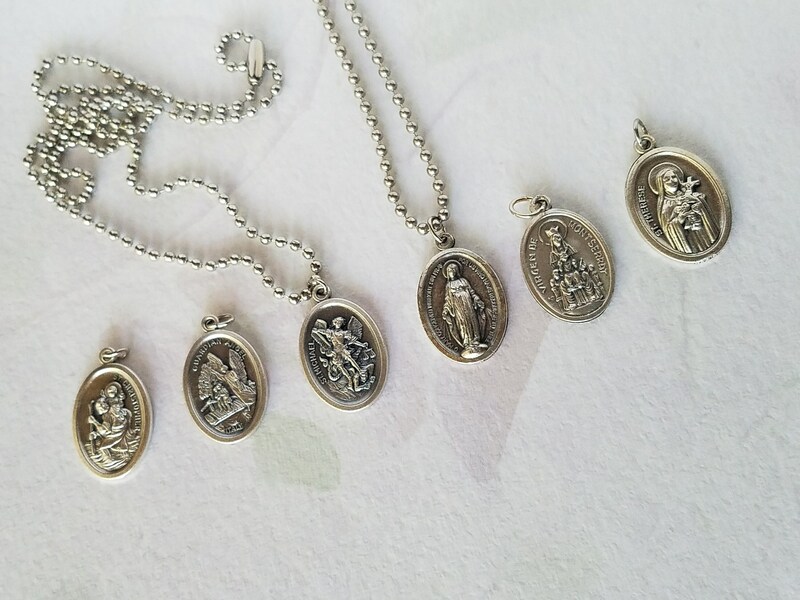 ~We have many medals available, if you do not see the medal/St. 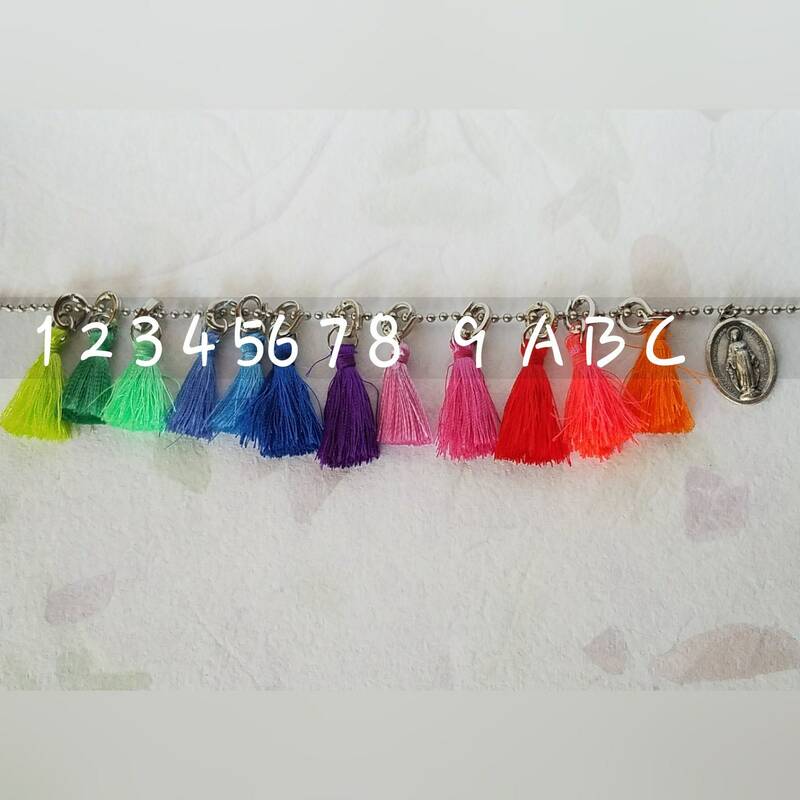 that you are looking for, please contact us.